Overclock.net > Intel > Intel CPUs > Solving / Fixing BSOD 124 on sandybridge. READ OP FIRST!! Solving / Fixing BSOD 124 on sandybridge. READ OP FIRST!! Random BSOD whilst idling and light load which includes lock up's and freezing. There have been a number of reports regarding the bsod 124 and idle or random BSOD problem. It's not just a case of upping the vcore like previous gen cpu's. The random or idle bsod problem is similar to the 124 error in someways and there are a few things that you should know. To prevent idle or Random BSODs (sometimes error 124) you have to set the C States in a particular way. If you are using offset mode for voltage, you must disable the C3 and C6 report. If you are using Manual voltage then you must either run them on auto or enable them. In both instances C1E and Speedstep should be left on as it has no effect on stability and it helps overall temps and the longitivity of your chip especially when using offset voltage. If you are recieving error 124 while stress testing then it could be 3 things, NOT just the vcore but could also be either the PLL voltage or the VTT (VCCIO). Due to recent findings, PLL voltage too high or too low will result in an error 124, that goes for VTT (VCCIO) aswell. BSOD while stress testing can be different from general everyday BSOD, this thread will try and help tackle both conditions. 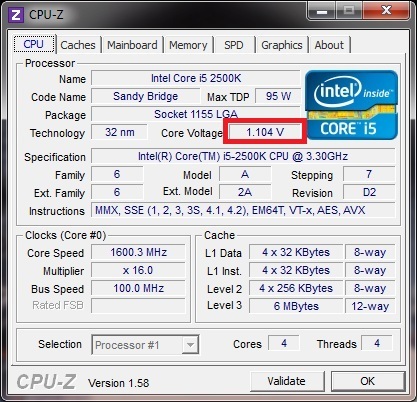 **If your sandybridge is giving you problems under light load or idle, then try disabling c3/c6, this usually applies to offset users, manual voltage users should try running C3 and C6 report on Auto. A handful of users' have reported that even after priming 12hrs+ they have recieved random bsods, this does not really indicate that it's unstable. The error codes are not 100% and are not ALWAYS correct, with that said, stress testing in your main OS is not a good idea. If possible get yourself a spare HDD and load up windows and run all your stress testing on that. The idea of having another HDD is so that when your running your stress testing, background processes are at a minimum and should help indicate the main source of bsods, disabling the internet connection is also a good idea, same with any type of antivirus. Just remember too many bsods in a OS can cause the OS to become unstable ie corrupted file systems etc. With that said, if you pass 12hrs once you should be able to pass again, however, this does not mean go OCD stress testing. Try running C3 and C6 on AUTO with C1E and EIST Enabled (Only if you're using Manual voltage). If you are using Offset Voltage make sure you disable C3 and C6 Report, however leave C1E and EIST enabled. Clear CMOS (quick way - take the baterry out), load saved stable overclock, fresh windows install with pretty much nothing installed, no internet connection, nothing just a prime blend run. With minimum processes running and windows services, it would ba clear indication of stability without other 'things' such as a driver error, windows update, internet connection causing bsod. Try Enabling all power saving features - C1E, EIST C3 and C6. Many have found that enabling SPREAD SPECTRUM reduces the voltage fluctuation. Try using Manual voltage instead of Offset. Go to control Panel/hardware and sound/power options and select High performance Mode. 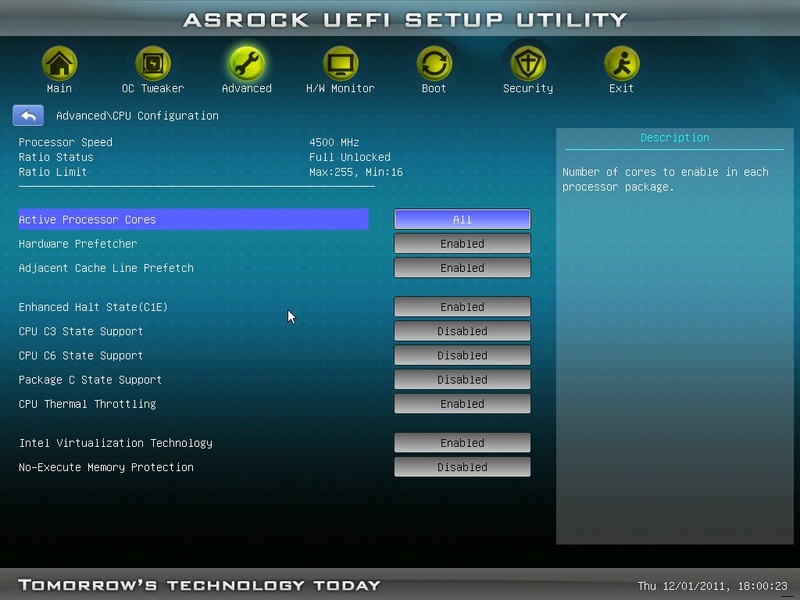 Take the RAM out of the equation, underclock it if you have to and see whether or not it continues. IF you have an SSD Read THIS, it might help solve your problems. Run Prime on it's own and leave it!!!! Hopefully the two tips right at the top should help against IDLE BSOD if not, maybe some of the other's TIPS could help you. I'll add some more TIPS along the way. Again error 124 in SB is NOT just the vcore! if you have that problem post here. One other thing, check the stable thread (first page), it has valuable info that could be helpful to you. Effects of C-States on SATA performance. It is NOT advised to make adjustments to Cstates as this can considerably affect hard drive throughput performance ( especially SATA6G SSD or Sandforce 2 based SSD ). It is recommended that all CPU power configuration states be left on their default parameters. Overclocking tests have shown internally no increase in multiplier scaling when adjusting these values. * under special cases with high multi capable CPUs and synthetic high load applications ( Linx, Prime, Occt ) it may required C states to be disabled. This has generally only been confirmed for some 51-54 multi capable CPU’s. This is obviously an issue for those with high overclocks. I have upto this point advised to disable C3 and C6 reports due to idle random bsods when using offset voltage, otherwise they're left on auto (default). When I got my board, I read this too and thought 'what nonsense'.. or at least misinformation. Owning a Vertex2 I can say that enabling C3 and C6 will slow it down (4k writes especially) and though the M4s on my current build are not affected to the same extent, the SATA throughput is not crippled by disabling C3 and C6. I only checked using AS-SSD and access times don't change either way, if you want I guess Anvil gives more information to prove this either way. add: you can run 3DMark11 which shows smaller score if you enable C3 and C6 so it does have an impact (negative). Yup I can attest to the C3-C6 states lowering throughput of SSDs. Below are some tests I did earlier with my previous SATA II SSD (Corsair Force120). The drop is even greater w/ SATA III. As you can see, though, only my writes are getting handicapped, but at 216MB/s it's pretty fast anyway, so I guess it's only almost a nobrainer. Other sysconfigs may yield different results, so you should test it yourself on your system altho generally I ALWAYS disable C-states while overclocking since I just don't see the need for them. I believe folmer's testing was with 4.6ghz, but not 100% sure but if it is then it kinda makes sense for all users that run sandforce based ssd's or sata III ssd's to disable C3 and C6 and that obviously means that they should use offset voltage and NOT manual. Hi, this thread has been a ton of help. Random 124's made me drop from 4.8 to 4.6 but then they started creeping up when I was just surfing... I realised that my SSD, a sandforce based one, may be having one of the issues with the C3/C6 states you address in the initial post. I stress tested for most of the day yesterday and was fine but I got another today just cruising the forums. So I'm going to try disabling them. My only question is this, for some reason, and this may be wrong- I've always been under the impression that C3/C6 preserves the life of your chip and it's good to have it enabled because of longevity. Is this actually the case or am I dreaming it up? I think you maybe mistaken with C1E and Speedstep, both allow the cpu multiplier and voltage (whilst using offset) to drop at idle or light light accordingly. C3 and C6 are forms of sleep states as far as I'm aware. They can effect the throughput of SSD's and the sata controller, however I should have noted this in the OP, but it does not universally apply to all. Not sure as to why but some have better performance with their SSD's with C3 / C6 enabled whilst other's have the complete opposite affect. It is upto you to find out which works better for you whilst maintaining stability. Read the above thread from page 5, post 45, onwards and use the same method to try and eliminate the 124 error. This is a tedious process and one that requires patience and if you don't have that, then you shouldn't be overclocking!!! It is a great way to find out the potential of your chip and also the sweet spot for it, so be sure to read the above thread. It did pass like 8 hours of prime blend max RAM usage and ~30 minutes of each of the two recommended FTTs at these settings. I have read the OP of the solving 124 BSOD post, that's why I mentioned that I rolled my GPU drivers back from the latest beta ones that have been reported to cause 124 BSODs. Well, I can't say much about the GPU driver's as I have not personally used them. In regards to Prime testing I would say , you should really run it a little longer, especially because you do folding. Also as I mentioned I know to try starting low and increasing the PLL should this BSOD happen again. What I was really asking was two things, first would I want to also try lowering the VCCIO as a possible solution for 124 BSOD or would increasing it be much more likely? Default VCCIO is around 1.05/1.07 I believe, VTT and QPI is the VCCIO setting for sandybridge, that is why Bsod 124 can be related to VCCIO. Increasing it does help stability, but if you reach a certain point, it'll just become unstable. It is either st on auto or increased, not usually lowered form it's stock setting. Also expected or common values that these two would be need to be changed to would be appreciated. As I understand it 1.1v is the default and 1.2v is the max for VCCIO but have you noticed a trend in most people solving 124 at 1.15 or 1.05. Unfortunatly I can't really say, I've been through hundred of overclocks and can't really remember, however there is one thing that does come to mind regarding vccio. Usually when you're overclocking ram going above 1.1v can help, but between stock VCCIO and 1.1v it can help general stability, but remember increasing it too much will more than likely cause you instability and generate the same heat that vcore would. People think that using vcccio is a substitute for vcore, unfortunatly I don't see it that way. Increasing VCCIO (Vtt) helps when you start to strain the IMC of the chip, when using high RAM usage in prime95 etc (instability) therefore a small boost to the vccio can help with that stability providing that you have cooling in the first place to maintain your cpu's temperature. Past answers to those two questions and reading the entire "fixing 124 BSOD" thread ( I already read the 2500k OC help thread and the OP of fixing 124) is there anything else I ought to know to try before increasing vcore should this BSOD happen again? 124 is a little tricky as you have gathered, turning that error code into something else can actually be done just by the VTT and PLL voltage alone, even if you get it to 101 atleast you know that's it's vcore that you need, or an error code showing OS corruption etc. What I would advise is that you run the Hard FFT's for around 1 hour each and see how far you get, if you get the infamous 124, then I wuld recommend that you start with the PLL votlage, reduce it all the way to 1.5v and start again with the FFT's, keep on doing until you find one value (sweetspot) that nets you the most duration in prime and note that down, then take it back to PLL back to auto and do the same for the VCCIO, obviously use the smallest increments as possible and test with prime blend. You can combine them together and retest with prime and see what happens. It is a very tedious process and one that requires a lot of patience. When you worked out the sweet spot for VTT and PLL @ a 47 multiplier, does that sweet spot only apply for that multiplier or would it be the same for say a 49 or 50 multiplier? To be perfectly honest, I really don't know. Because the proess can be tedious, I didn't really test it with a different mulitplier, it just depends on how it reacts to that particular overclock, so on that note I would say probably not, the vtt and pll sweet spot is probably depedndant on that particular multiplier. Sorry I cannot give you a exact answer to that question. Actually, I can maybe try and explain this to the best of my ability, lets just say that between 4.5 to 4.8 you recieve bsod 101 after tweaking the vtt and pll for 4.5ghz, so at that point you would obivously continue increasing the vcore until you're stable, however they may be a point during that time that the 124 may arise, that doesn't mean that the vtt and pll sweet spot has changed and it needs to be tweaked again, because remember 124 can also be vcore, so on that note you continue increasing the vcore until you reach a point of stabiity, however that trully depends on the potential of that particular chip. But and this is important, overclocking is not a guarentee, so in order to 'find' your overclock you will need to set yourself a target and that should be by vcore and temp, not clock speed that will allow you to really see the potential of that chip under those conditions. Also everyone knows how 'very well' gpu drivers perform lol so make sure you identify whether or not it's a gpu problem or overclock problem, head over to the gpu section, whether it be ati or nvidia and find out what drivers are the most reliable ones. For Nvidia I know the most reliable driver is the 266.58, nv users, download and install that to eliminate the gpu from the equation and to help pin point the root of the 124 error. Here is a perfect example showing how a GPU driver can cause BSOD 124. I have mentioned this before and explained that erro codes are not 100% correct, as with overclocking these things can be random and very difficult to pin point. The exmple clearly shows how a stable overclock can be 'disrupted' due to a gpu driver. You should enable C1E and Speedstep and see if that helps, as it doesn't effect overclocking or stability under load, so there is no reason to disable them. If you use offset votltage in combination with C1E and Speedstep it will allow the voltage to drop along with the multiplier when it's at idle, however some have found that using offset can cause idle random bsods because of the low votlage and how quickly it rises when it's under load. The simple solution to that would be to reduce the LLC setting a litle to maintain a higher idle votlage, but will require you to increase the vcore a little. As you can see the idle voltage when using a 'lesser' llc control allows us to increase the vcore so that the idle voltage is not 'too' low. When using ultra high llc, we use less voltage but get similar or the same load voltage but the idle voltage is much less. That could be what the problem was, im not sure. By the way, I have said this countless times, the bsod code list is not 100% accurate, 101 could be even qpi/vtt. when you say 'rock solid' stable, what did you use to determine that? 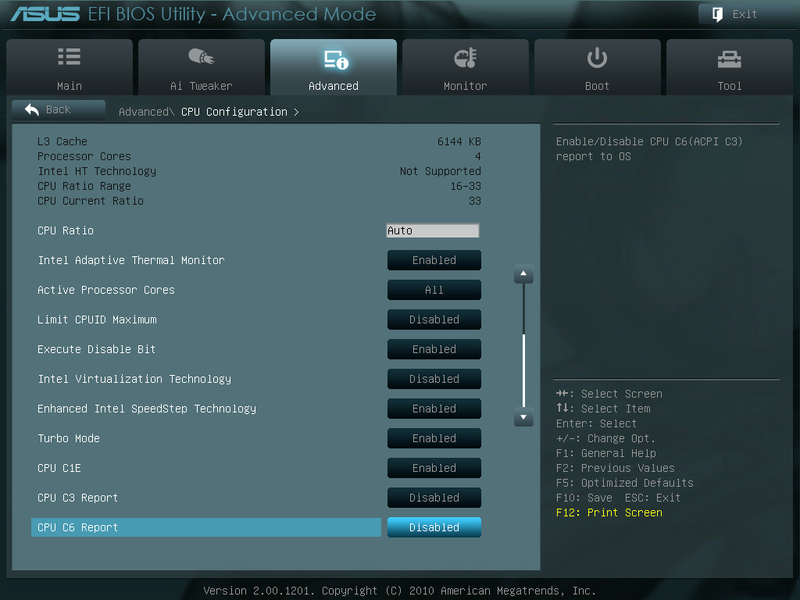 By the way, how could you have done all that if you're stilling running the 1702 bios?? You're cool, lol. I'll definitly be using this next week! Some say he once took a backup of the entire NSA database. Others say he lays SSDs like chickens lay eggs. All we know is, it's Sean Webster! everytime i stressed my pc, it would bsod until i turned off the C states. Like I said it mostly comes down to how the C states are set. I also have this problem. I manually set my vcore and it happens with C3 and C6 enabled and disabled. It happened last nite with my vcore at 1.365 so I bumped it up again to 1.370. I'm prime and IBT stable at 1.350. When the vcore was set to 1.365, I had VTT at 1.1## and PLL around 1.9##. I have put those back to auto since it didn't help and just moved the vcore up to 1.370. What was the actual value of vtt and PLL? certainly sounds like your PLL voltage is quite high, that could be the culprit. Overclock.net - An Overclocking Community > Intel > Intel CPUs > Solving / Fixing BSOD 124 on sandybridge. READ OP FIRST! !